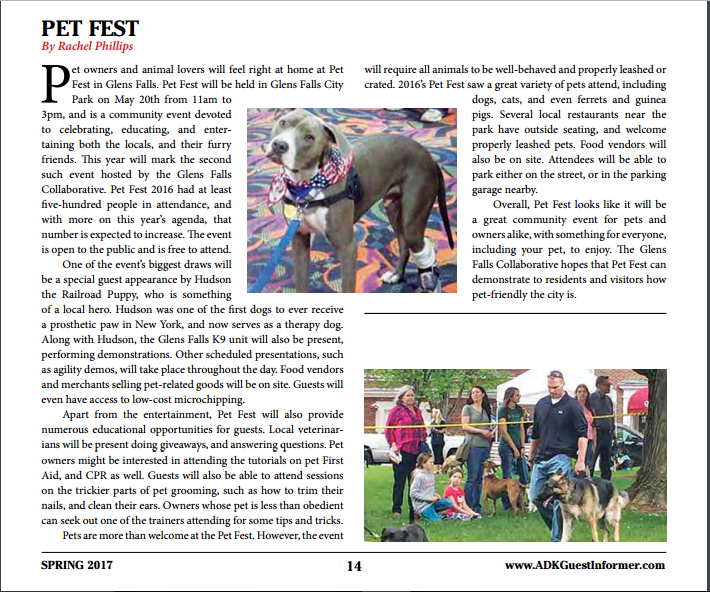 Here’s the article I wrote on Glens Falls Pet Fest for Adirondack Guest Informer, which is a travel magazine for the Adirondack region of Upstate New York. You can find the full spring issue here. This piece showcases my ability to write densely informative pieces while still keeping the content light and entertaining. If you’d like me to write something for your publication, please see my Hire Me page.